SCE employee Jeromy Parsell volunteers with American Red Cross as a Disaster Action Team captain, bringing much needed relief to victims of house fires and other disasters. American Red Cross' Disaster Action Team captains carry gear and supplies wherever they go in case they are called to action. March is Red Cross month, and the nonprofit is looking to grow its ranks. The smile on a toddler’s face and the palpable sense of relief from those he’s able to help — that’s why Jeromy Parsell does it. Parsell is a Southern California Edison technician by day, but in his spare time he volunteers with the American Red Cross. 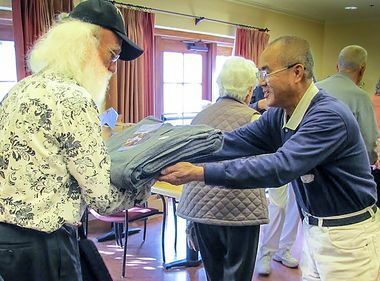 He is a Disaster Action Team captain, meaning he and other volunteers bring essentials like toiletries, blankets and clothes to victims of disasters. The teams also provide gift cards that can be redeemed for food or temporary housing. House fires are the most common disasters the Red Cross responds to. Recently, the organization launched the Home Fire Campaign that aims to reduce deaths and injuries caused by those fires. Last year, employees and retirees of SCE and parent company, Edison International, volunteered nearly 1,700 hours to the American Red Cross, from helping with blood drives to disaster relief. 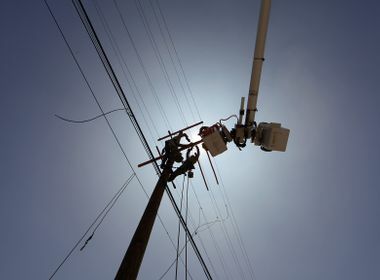 Edison International also partnered with the nonprofit on its American Red Cross PrepareSoCal initiative, committing $3 million to the disaster preparedness effort since 2012. This year, the focus is on underserved communities and bilingual volunteers are in high demand. As a Disaster Action Team captain, Parsell is always ready. He keeps his Red Cross gear and supply bin with blankets, clothes and toiletries nearby. When a fire department calls the Red Cross, the dispatcher sends the nearest team, sometimes more than one depending on the extent of the damage. About two years ago, Parsell responded to an apartment fire in Riverside with several other teams, he said. The fire had dislodged many families, all of them low income. The Red Cross teams handed out their usual supplies and for the children they had some Mickey Mouse dolls donated by The Walt Disney Company. March is Red Cross month. To volunteer, visit www.redcross.org/support/volunteer.